Return to the "Valiant IV"
Photo Information for Return to the "Valiant IV"
This is one of the reasons I love Elite Dangerous! 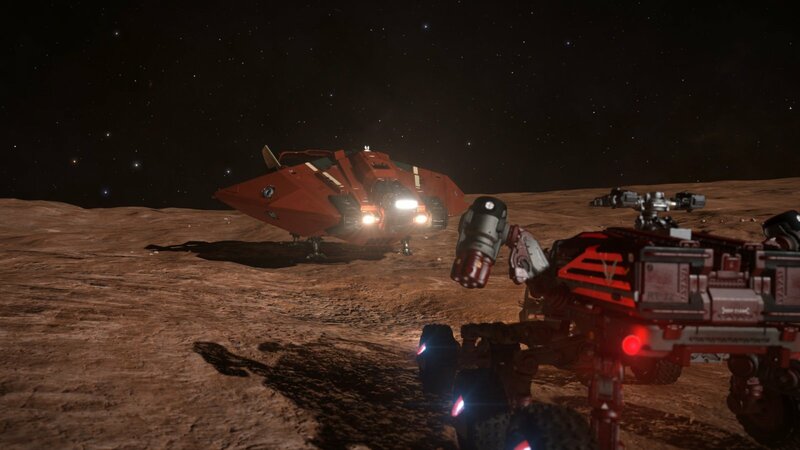 The freedom to fly around and check stuff out, land and search a lunar surface for some material that can be used to make the ship faster/better; most games you can do a little "exploring" but then there's no main rewards for it - just a side trip off the sandbox stories. In Elite, you could do all your ranking up and gain all of your cash just by exploring, if you wanted. Gotta love the eye candy!! In Elite, you could do all your ranking up and gain all of your cash just by exploring, if you wanted. Now I play for about 40 hrs and did not shoot a single guy. Accidently in Wing with a Friend I hit a Cop and I got killed instantly. I found out that I have a Insurance for the Ship. lol. But so far this is not the usual SyFi FP Shooter. I explore this Galaxy by beeing a Merchant and enjoy it totaly. I've just discovered Planetary scan missions from all the boom deliveries I've been making. This game will be the death of me, its an absolute blast!